EXQUISITE RANCH STYLE HOME backing to greenbelt area features a large living room with vaulted ceiling and see-thru fireplace. Large gourmet kitchen with granite countertops, wood floors and breakfast bar. Sunlit dining area with wood flooring. Master suite with 5 piece bath. Main floor utility with built-in cabinetry and utility sink. Four additional bedrooms and two full baths. Lower level features family room with wet bar. 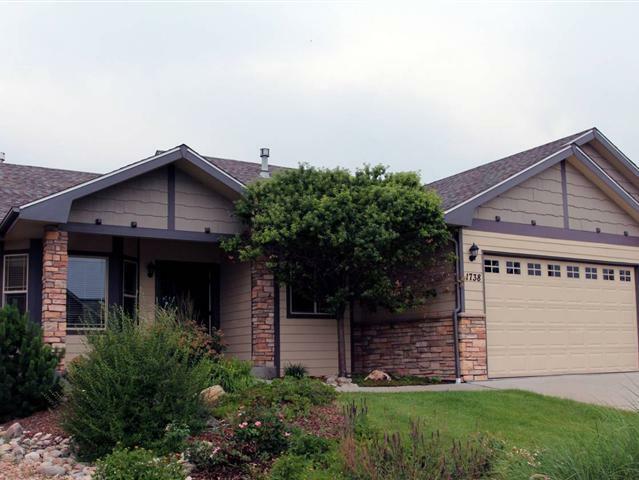 A/C, sprinkler system, 22 x 12 flagstone patio, fenced back yard & a 3-car garage w/ workshop area. This home is a beauty!